Constructed in 1948, the Dearborn Homes Development is comprised of 16 mid-rise buildings containing 800 dwelling units on 16 acres of land. The complex is part of the CHA’s Plan for Transformation, which included complete renovation of all 16 buildings resulting in 656 dwellings. 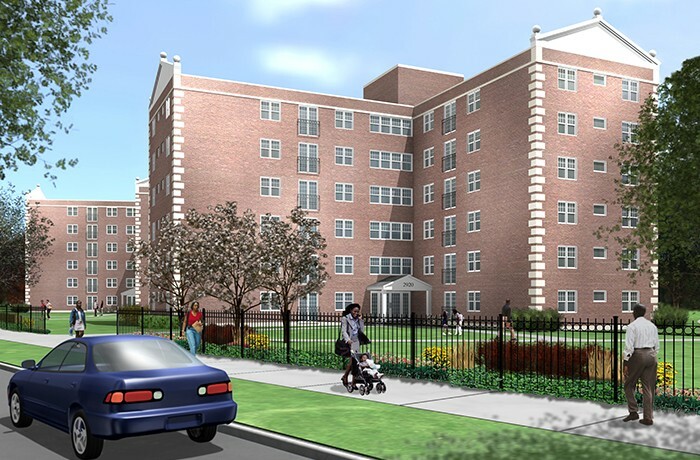 HPZS created a plan for the rehabilitation of all buildings, including new infrastructure and complete site redevelopment, as well as designed the dwelling unit configuration to meet HUD accessibility requirements. The exteriors were all completely renovated and ornamental details were added to enhance the facades.